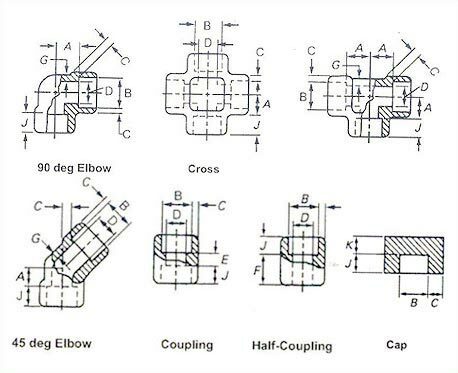 ASME B 16.11-2001 Socket Welding Fittings are made available by us in innumerable shapes such as elbow, cross, coupling, half coupling, cap, tee etc. We are counted among the top Manufacturers, Exporters and Suppliers of Socket Welding Fittings. Providing smooth flow of liquid, our Socket Welding Fittings are high in demand in the market. Obtain from us, small as well as bulk quantities of Socket Welding Fittings at the most reasonable prices.